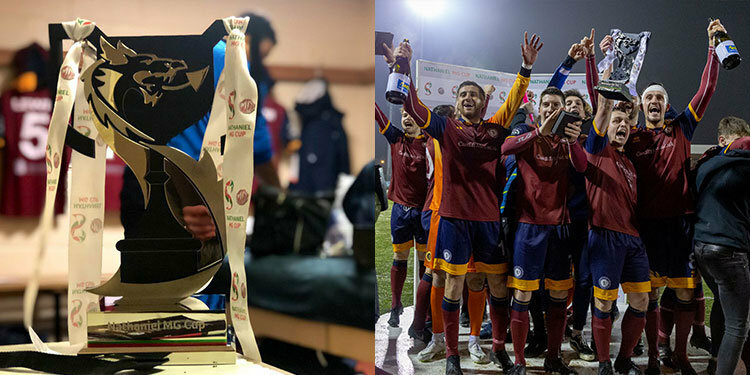 Special EFX has created the Nathaniel MG Cup for the JD Welsh Premier League; the football trophy was presented for the first time on Saturday, 19 January, to the winning team Cardiff Met. 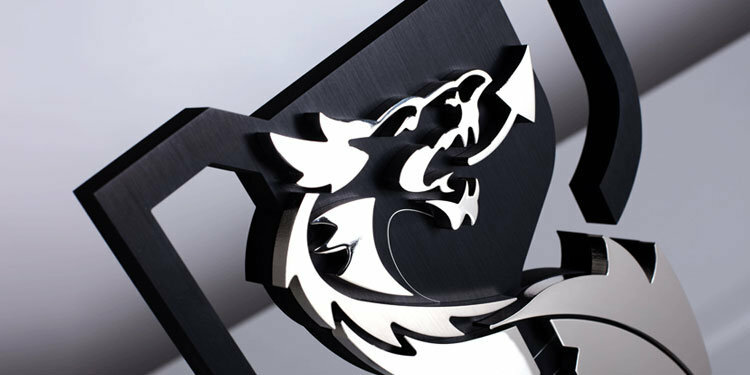 Commissioned by the Football Association of Wales, the contemporary dragon design is a marked departure from traditional, silver plated football trophies and has been enthusiastically welcomed. A spokesperson for the Football Association of Wales reported: “The striking design has been well-received; we featured it in the pre-match publicity and have been pleased with the general response and anticipate it will have added to the prestige and overall perception of the competition”. The new trophy was commissioned following a run of four years when the The New Saints team won the title along with the traditionally-styled, silver-plated cup, making them eligible to keep the old trophy. The competition was established in 1992 and is open to members of the Welsh Premier League and selected clubs. It was renamed Nathaniel MG Cup in 2016 to reflect its new sponsor, Nathaniel Car Sales. Welsh Football is amongst good company. In recent years, Special EFX has become an important design and manufacturing house of international sporting trophies and awards, including Formula E, ITF Tennis, Premier League club trophies and FA Women’s Super League, leading the way in innovative and exclusive product design and high-quality production. The Nathaniel MG Cup, also known as the Welsh Premier League Cup, stands 380mm tall and 244mm wide. It was manufactured at EFX’s factory near Stratford-upon-Avon, employing the latest water-jet cutting technology to create the intricately shaped components for the dragon’s face. The use of silver and black anodised aluminium and plinth decoration, that gives a nod to the colours of the Welsh flag, achieves the modern aesthetic that sets it apart from more traditional silver-plated cups. The trophy design was unveiled before the final, during the magazine show Mwy o Sgorio on S4C, broadcast partners for the competition.